Pumpkins aren't difficult to grow, although it may take persistence to coax them to germinate early enough so the fruits have an adequate growing season. The main problem is circumventing our typical wet, cold spring soils. Steve Solomon, author of Growing Vegetables West of the Cascades , recommends sowing at the beginning of a long spell of warm weather and not to water until germination. Since my late spring weather predictions are as poor as our weatherman's, I start my seeds in the greenhouse and carefully transplant seedlings soon after they sprout. That way I don't have to worry about seeds rotting and having to start over. However, if starting seeds indoors is not an option, Solomon wisely advises you to sow weekly until something sprouts. 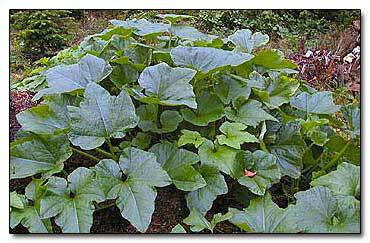 Once the seed sprouts, the pumpkin vines can endure harsher late spring to early summer conditions than cucumbers and melons. Give the vines plenty of room to grow since overcrowding them will reduce fruit yield. Space hills four to five feet apart and plant four to six seeds per hill. After the seedlings sprout, thin them to the most vigorous plant per hill. Don't pull the weaker seedlings out of the hill; instead, cut them down to ground level with scissors or small pruners to prevent disturbing the roots of the chosen one. When sowing the seeds or transplanting, add one cupful of complete organic fertilizer to each hill and fertilize every two to three weeks. 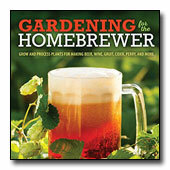 For those who want to cut water consumption in the vegetable garden, in another book, Water-Wise Vegetables for the Maritime Northwest Gardener , Solomon goes into detail about alternative dry gardening, fertigation, and foliar feeding for greater yields in our maritime climate. After September 1st, remove all the smaller fruits and any that form after this date, to help the ripening of the remaining ones left on the vine. Rarely in our maritime climate do we see the stems dry up and turn brown, a signal it is time to harvest the pumpkin. Afterwards no more nutrients pass between the plant and the fruit. We are in the race for ripening time, trying to get the fruit as close to mature as possible before the inevitable powdery mildew hits the vines. The fungus is a problem with all cucurbits once the weather turns cool and humid. When the mildew sets in the ripening process is halted permanently. It is important to pull the fruits before the fungus or frost kills the leaves. Leaving them on the vine compromises the keeping quality of the fruit. Leave four inches of stem on the pumpkin to help keep them longer. Gently wash the pumpkins with 10 parts water to 1 part bleach. Let the skins cure at room temperature for a week, then store them at 55°F with 70% relative humidity. Growing gigantic pumpkins is very specialized and growing them in the Pacific Northwest is a challenge. For all you Linus sympathizers who want to bring the Great Pumpkin into their own sincere pumpkin patch, I suggest you visit the Pacific Northwest Giant Pumpkin Grower's (PNWGPG) web site for excellent growing advice or to join other Great Pumpkin enthusiasts in the Pacific Northwest in their humble quest for the almighty vegetable. Back to Raising the Great Pumpkin.